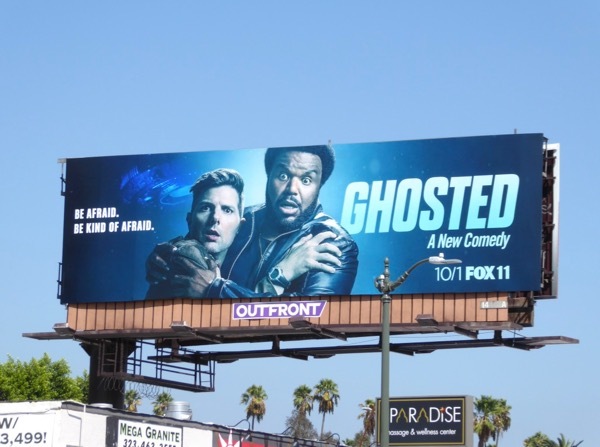 This fall Adam Scott and Craig Robinson team up for the new paranormal buddy comedy, Ghosted. 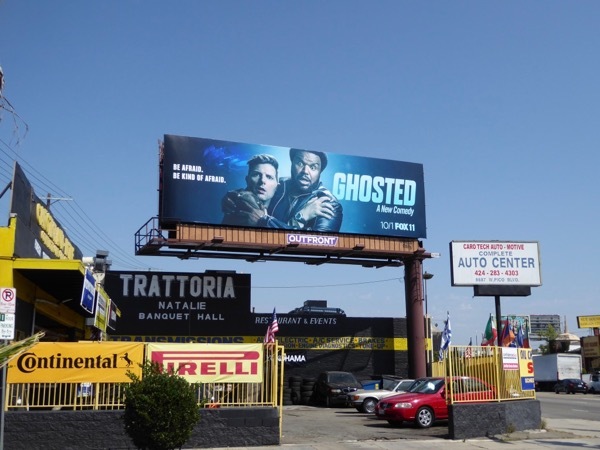 One is a former astrophysics professor and the other a skeptical ex-LAPD detective recruited by a shadowy government agency called the Bureau Underground to investigate strange goings-on in the world, find a missing agent and undercover a potential extraterrestrial conspiracy. 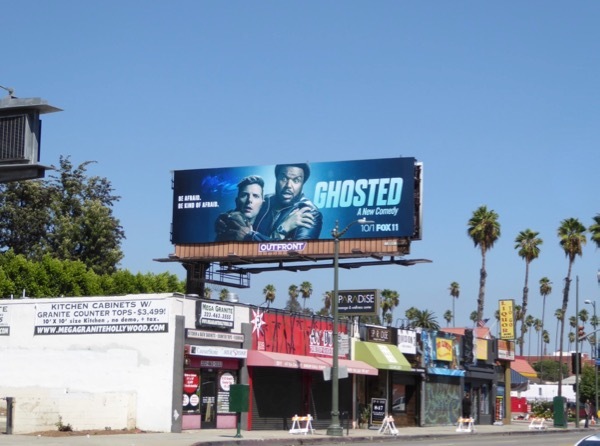 These Ghosted series premiere billboards were first snapped along Pico Boulevard on September 8, then later along Hollywood Boulevard on September 13, 2017. 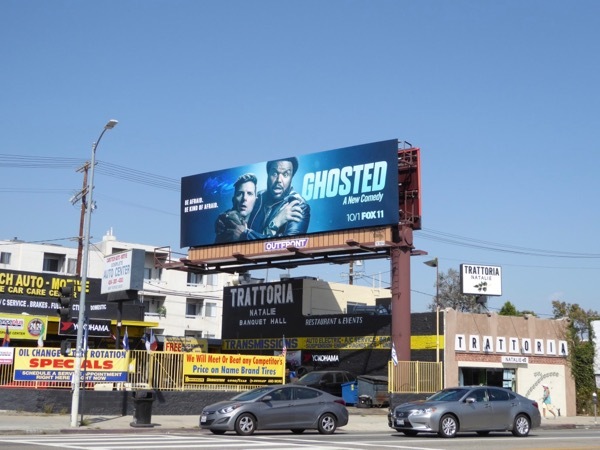 You can also check out this comedy duo in these Hot Tub Time Machine 2 movie billboards. 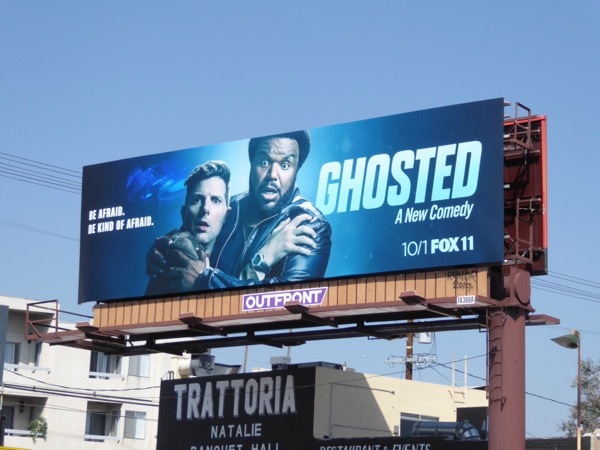 Only time will tell whether viewers will want to believe in this comedic version of The X-Files or whether its potential audience will mysteriously disappear before giving the show a chance to try and tickle your funny bone.